Home > Special Offers > Sales > Winter Sales Event on Now! 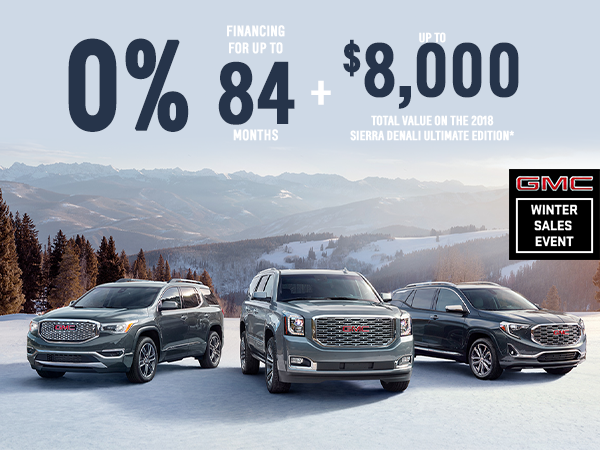 Come in today and get up to $9,000 in total value on the 2018 Sierra 1500 Denali Ultimate Edition. PLUS get 0% finacning for up to 84 months!